FIVE MULTI PURPOSE COFFEE TABLES UNDER 75 - HIP HIP HOME! Often, a coffee table is the last purchase in a living room. And if I am being honest, all funds are likely to be depleted at this stage. 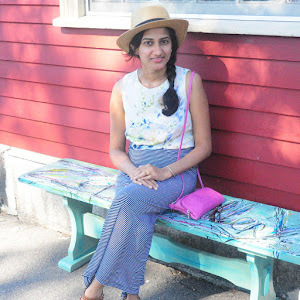 Below I am linking 5 good looking coffee tables that serve more than its one obvious purpose. AND ALL THESE FOR UNDER 75 BUCKS! 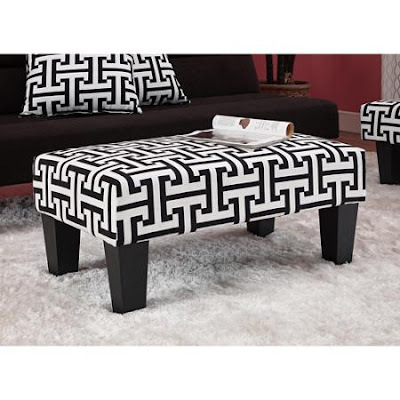 This graphic ottoman can be used as a coffee table simply by plopping a tray on it. 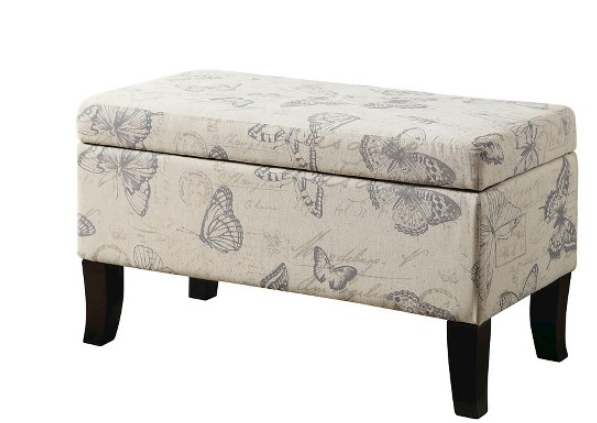 But it can also double as an upholstered bench! I really adore the graphic black and white pattern on it, which is so unexpected for a coffee table. 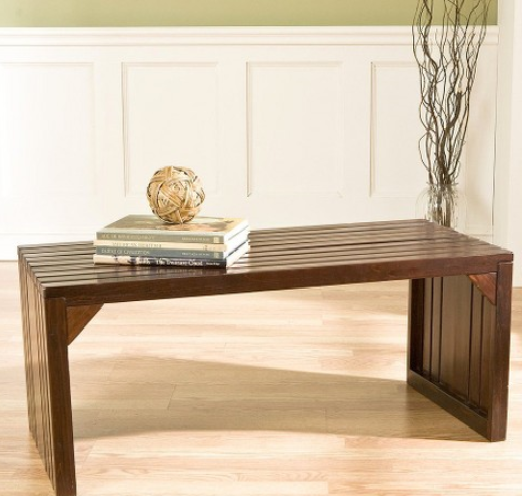 This is listed under benches but this ultra modern bench can easily be a coffee table. You can add baskets underneath for storage. This piece is so airy, it hardly takes up any visual volume and will work very well in a small room. 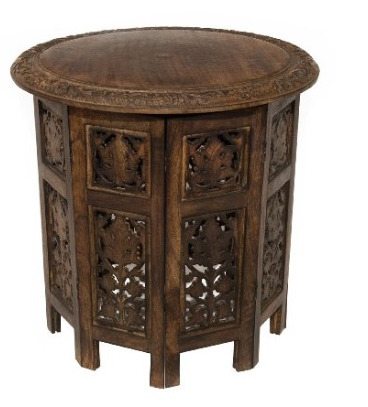 This is a much smaller table but it is such an intricate piece that commands a lot of attention. It can serve as a table top, a bench and a storage solution. 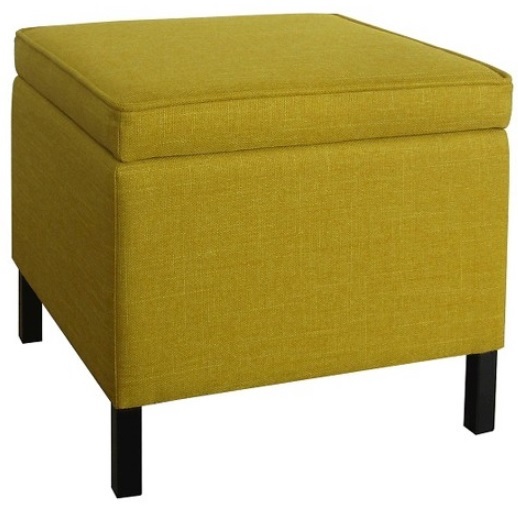 We have all seen bonded leather storage ottomans. But I wanted to add this similar one in fabric. This is also a coffee table, a seat and a secret hiding spot. This one might be my personal favorite. You can line up 2 of these in front of your couch and then split them up when you need extra seating. They also provide plenty of storage space. Besides, how can you say no to this happy color! This post would not be complete without an honorable mention to Craigslist. It happens to be one of my favorite go-to sources. All of the products listed above have 4 or 5 star reviews and these are all options I would personally not hesitate to buy.